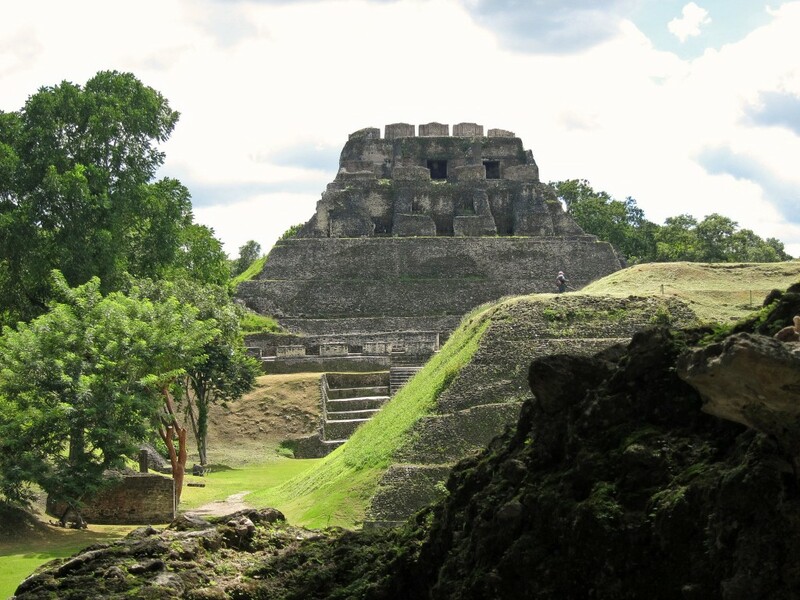 In the upcountry Cayo District of adventurous Belize, I chose a wild adventure involving a half-day trek https://web.archive.org/web/20111113183706/http://www.travelgearforwomen.com/?p=1015by horseback to the great Mayan ruins of Xunantunich (pronounced shoo-nan-too-nitch), meaning “Stone Maiden.” I arranged my unconventional tour of this great ancient Mayan ceremonial center through Pacz Tours in San Ignacio in eastern Belize. A spring foal warily watches as we stride by. 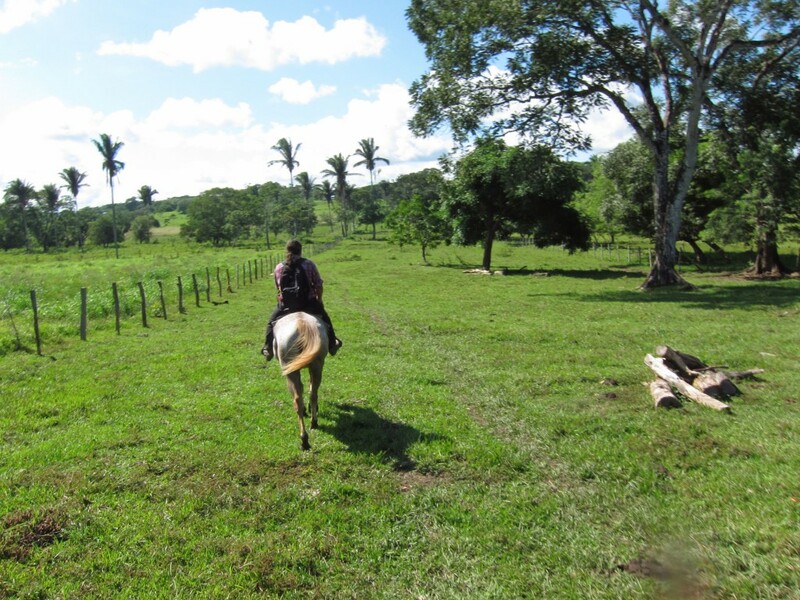 We set off from Hanna Stables on San Lorenzo Farm in the upcountry Cayo District in eastern Belize with horseman Santiago Juan, a Belizean of Lebanese and British descent whose family had settled here in the 1920s. We passed through the pasturelands of his family’s 400 acres where they run cattle, run a dairy and grow corn and beans. As well as horse breeding. Pasture soon turned into a jungle trail. Soon we enter a fairyland of rainforest, surrounded by butterflies, orchids, and chattering birds. This jungle trail gave way to the Mayan village of San Jose Succotz on the banks of the Mopan River. 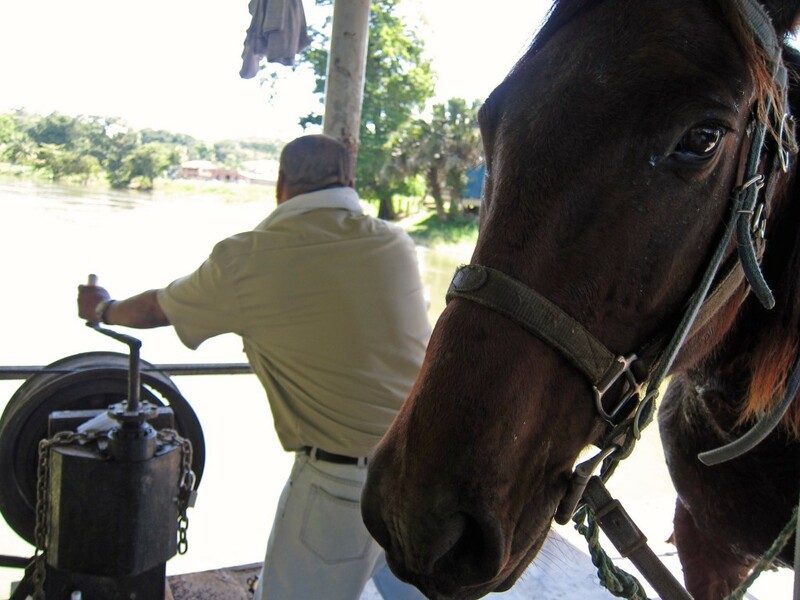 The hand-cranked ferry across the Mopan River. 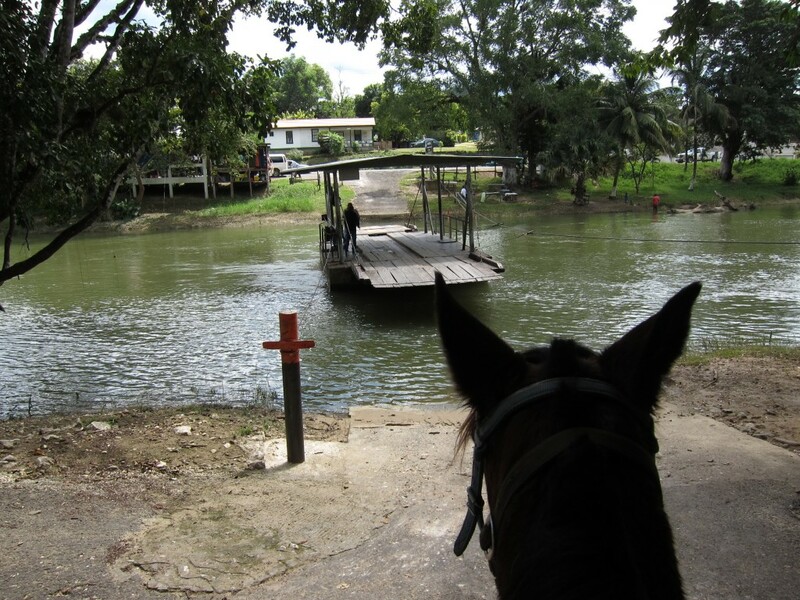 Riders and horses had to board this ancient, hand-cranked ferry to ford the river and head up to the limestone ridge where Xunantunich stands. No worries, though, because of Santiago’s expert horsemanship, our mounts quietly stepped aboard. Our noble aquatic equine companions took this hand-cranked river fording in stride. A national symbol, El Castillo is as high as a 13-story building. We head up a steep, 1 mile track to the limestone ridge where Xunantunich stands. After dismounting amid the roar of howler monkeys in the canopy above, we climbed up to the main plaza to take in the Mayan splendor. 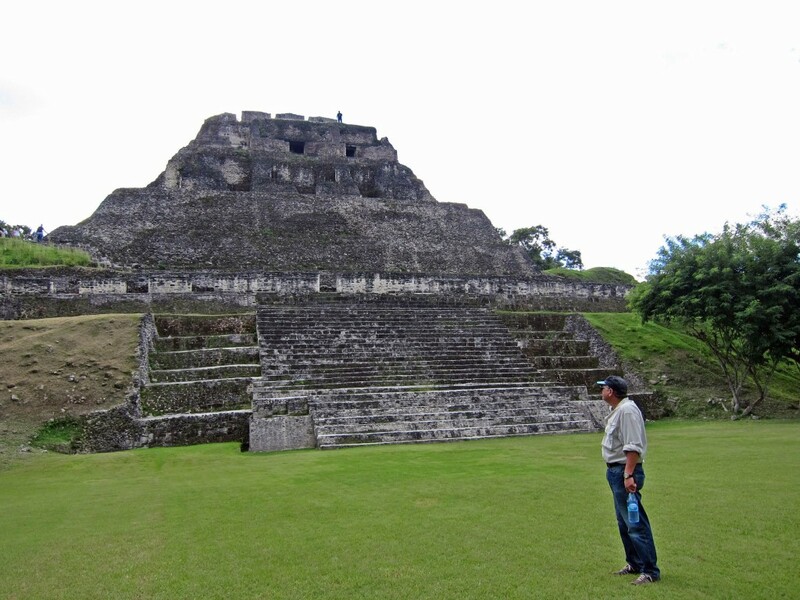 Xunantunich’s one square mile consists of six plazas and more than 26 temples and royal palaces. This important religious center has stood on this flattened hilltop on a limestone ridge since 400 BC. The climb to the top is steep and daunting and well worth it. 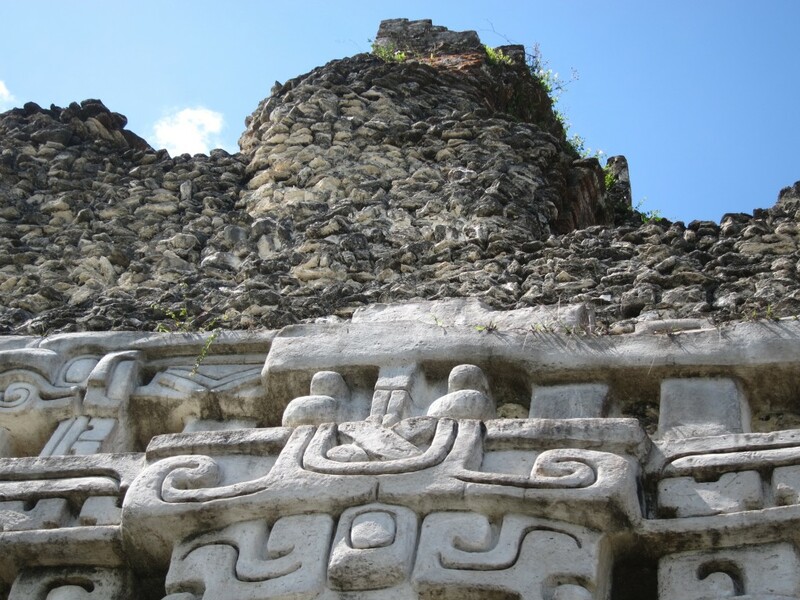 Don’t ascend this Mayan monument if you have any fear of heights. The steep climb rewards your ascent with panoramic views of the Mayan monuments and the Mopan River Valley. 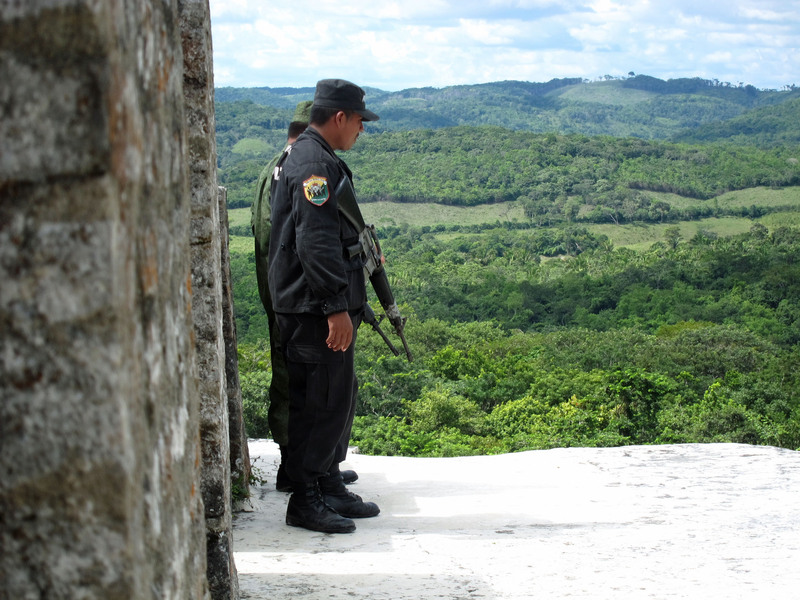 Security atop El Castillo overlooking the Guatemala border. Atop El Castillo, Belize’s second highest pyramid, we can see across the rainforest into Guatemala. Belize and Guatemala are unfriendly neighbors because Guatemala had always believed that Belize is a part of that country. But Belize, the former British Honduras, strongly disagrees. An important frieze used to encircle El Castillo; this is a preserved section on the pyramid demonstrating its former location. A visitor’s center built by the Getty Foundation covers the Mayan magnificence of the famous hieroglyphic frieze that used to circle El Castillo, depicting jaguar heads, human faces, and royal religious rituals. There’s also a scale model replica of Xunantunich as well as exhibits on its history as a power player in Mayan politics. 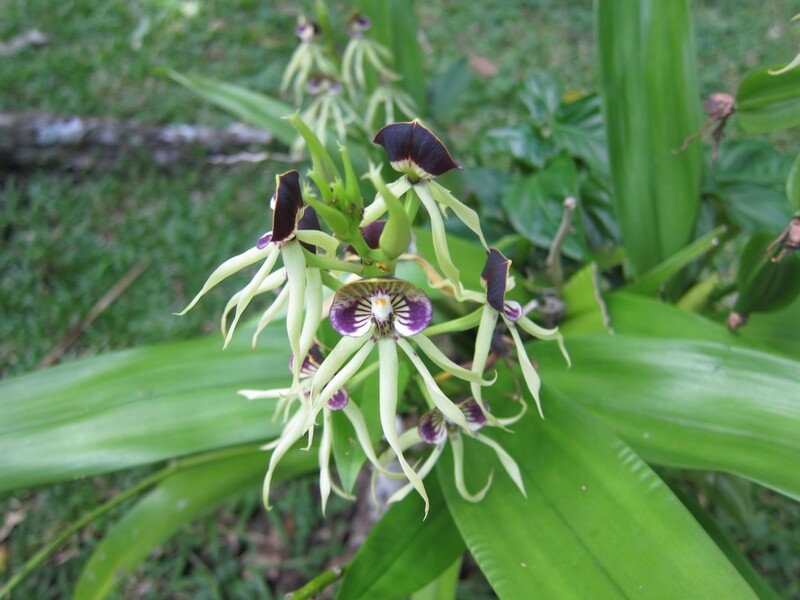 The Black Orchid, the national flower of Belize. Those howler monkeys were still roaring as we remounted and headed back to Hanna Stables. 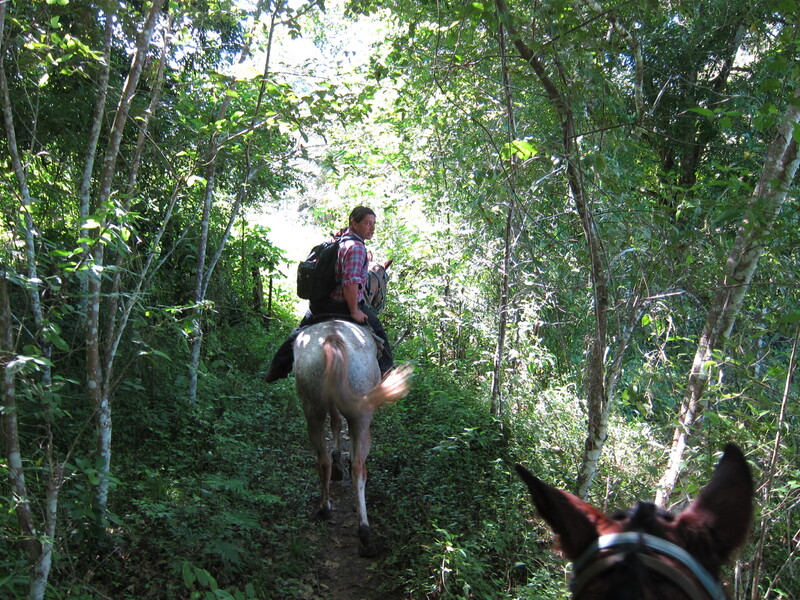 We rode back through the Mayan village of San Jose Succotz, about seven and a half miles west of San Ignacio, which is the adventure center of the Cayo District and the Mayan Mountains. 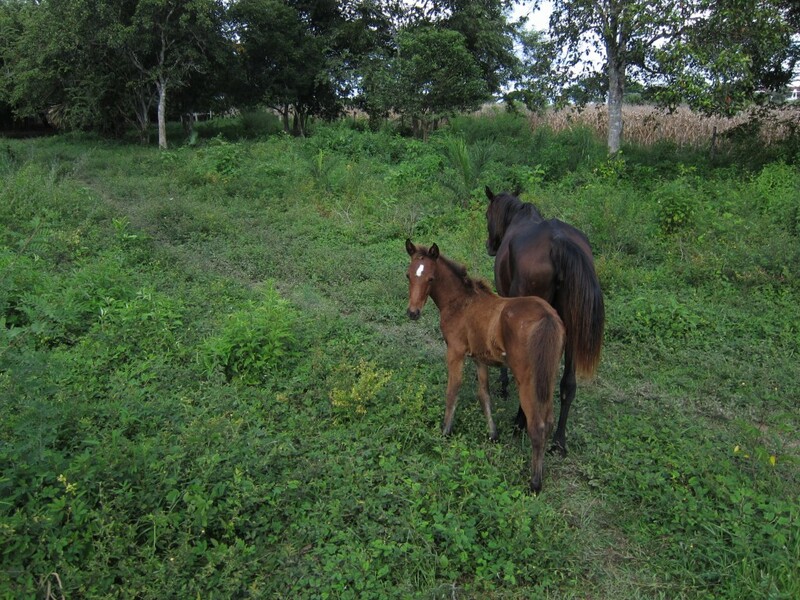 Back at Hanna Stables, our mounts get their reward in the thick grasses of Belize. This entry was posted in Blog and tagged horse, horse trip, horseback, travelling on April 23, 2017 by Marian Knight.